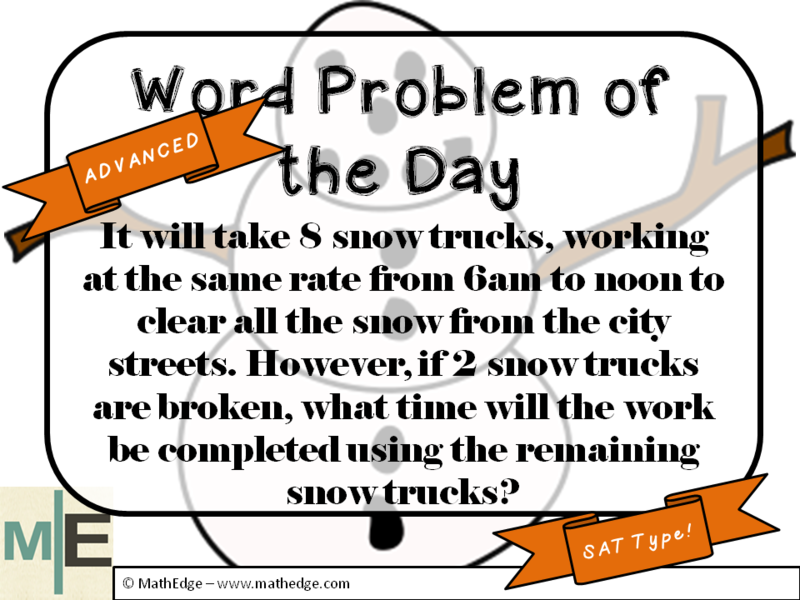 Word Problem of the Day - Featuring Rates Again! Back to school!! --- and back to the word problems you love. 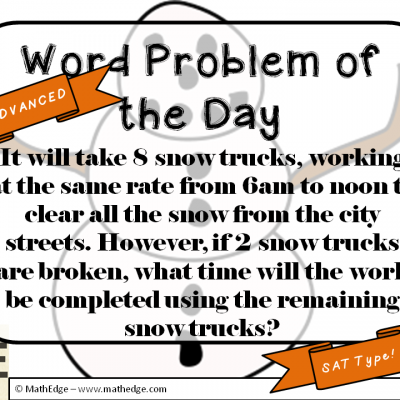 This word problem will "wake up your student's brain" after a long summer! If you desire your students to be competitive and really know math, then give them this problem. Don't forget to subscribe so you can get notification of the detailed solution when it is posted & other exciting teaching ideas from MathEdge.com. Tell me what you think! What are some different ways to explain the solution for this problem? Share below!